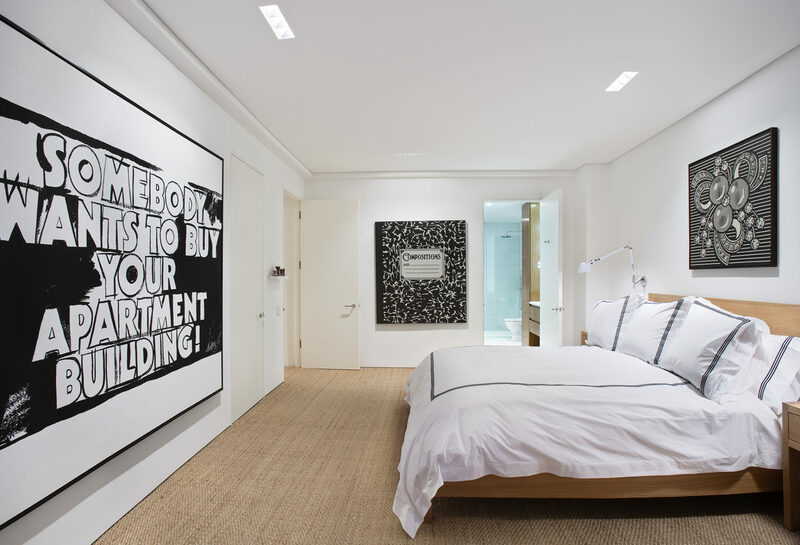 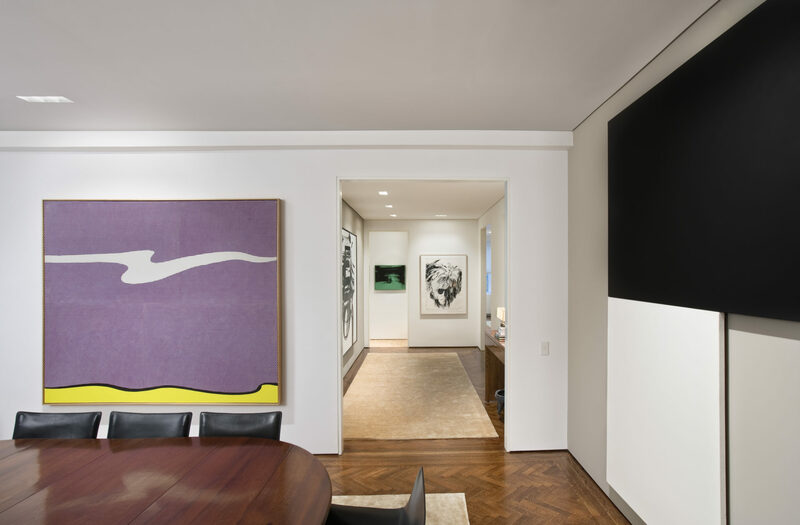 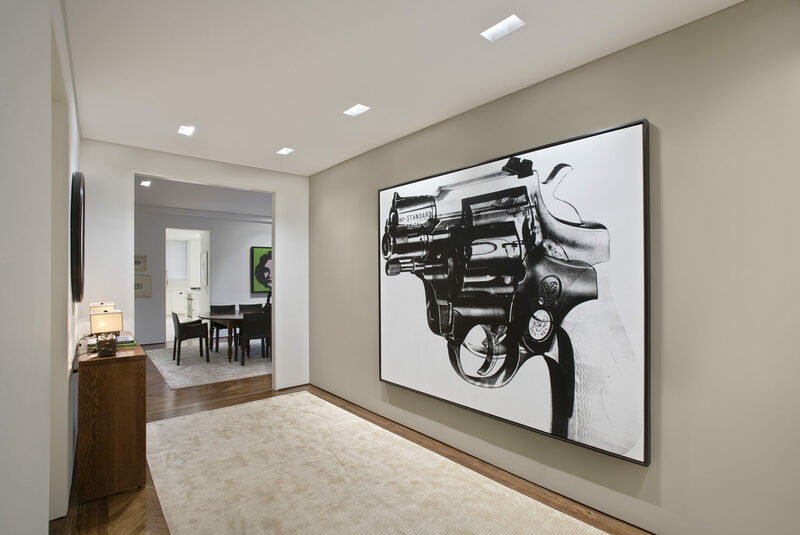 We transformed this classic pre-war apartment into a minimal, contemporary showcase for our client’s world-class twentieth-century art collection. 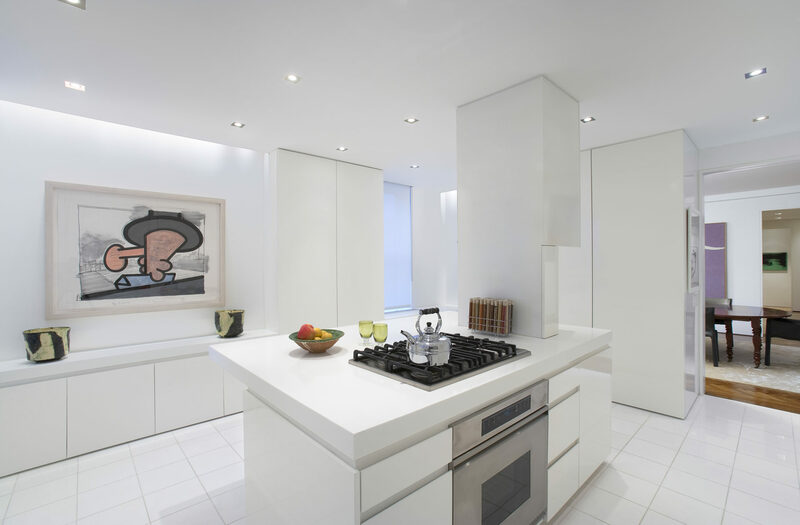 The kitchen was completely remodeled with custom white lacquer cabinetry and white Corian counters, while the more intimate library space was covered with Donghia grass cloth and integrated lighting. 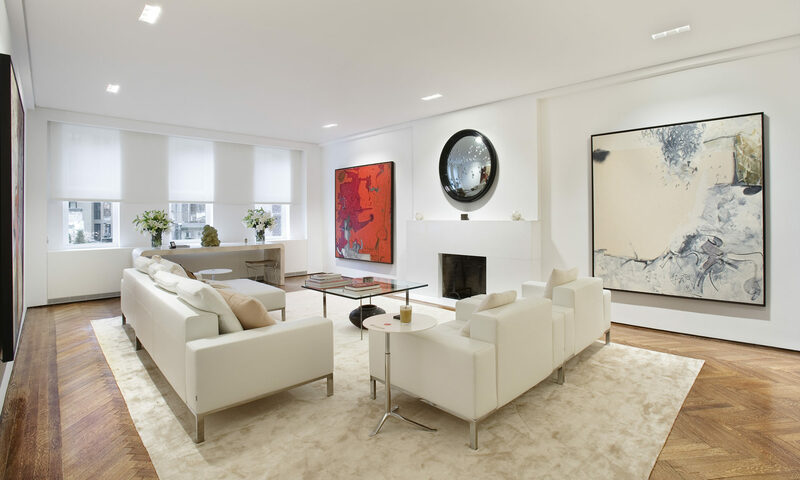 Custom cabinetry and furnishings throughout create a sense of unity, while silk and wool carpets lighten and give depth to the refinished original parquet wood floors.